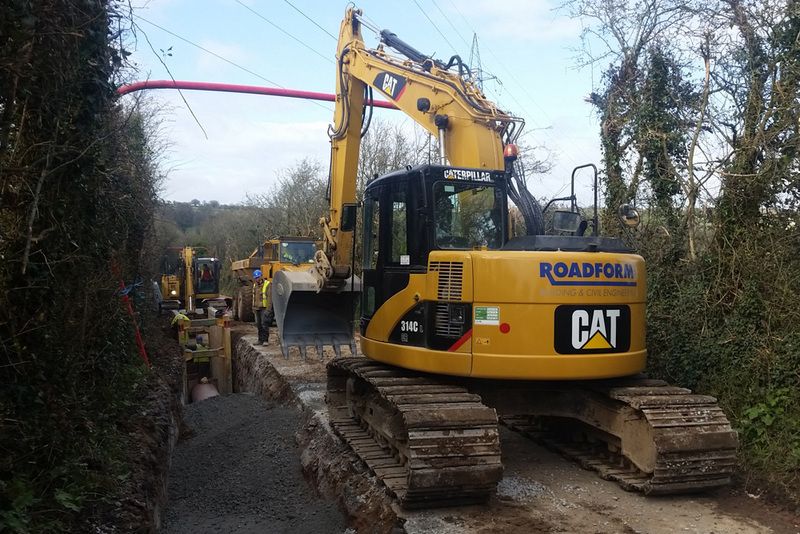 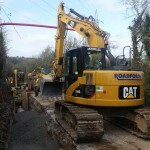 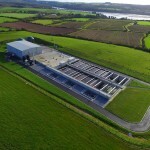 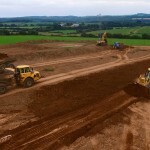 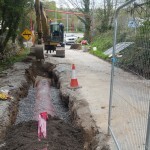 Contract: Cork Lower Harbour Main Drainage Scheme, Shanbally, Co. Cork. 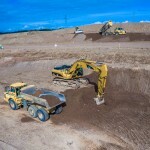 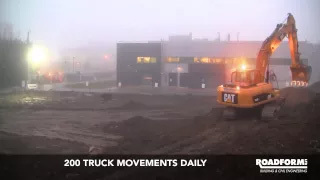 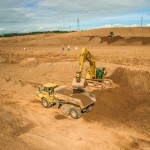 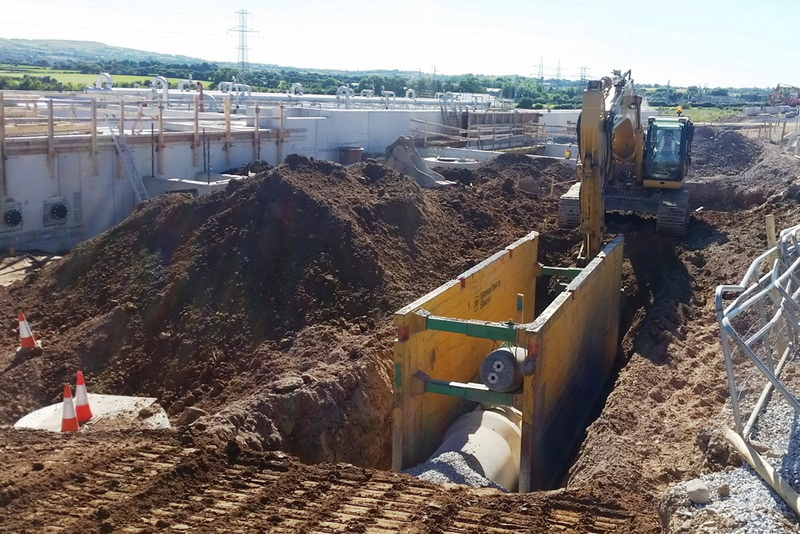 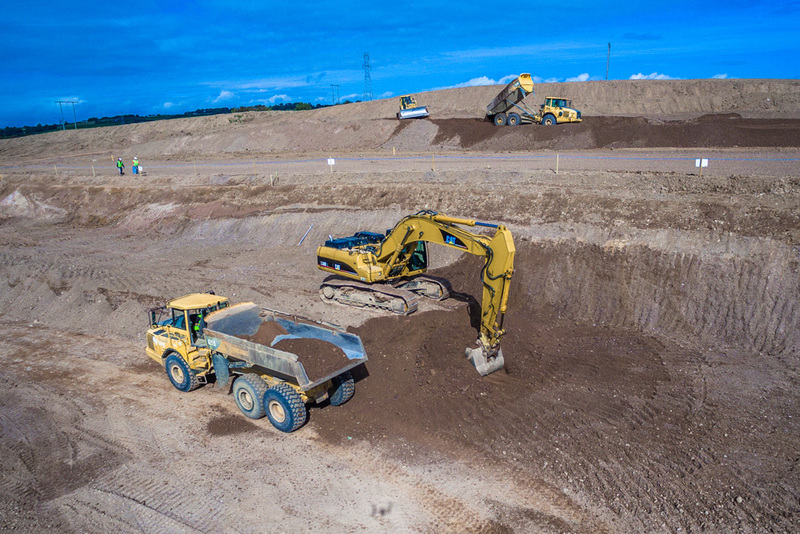 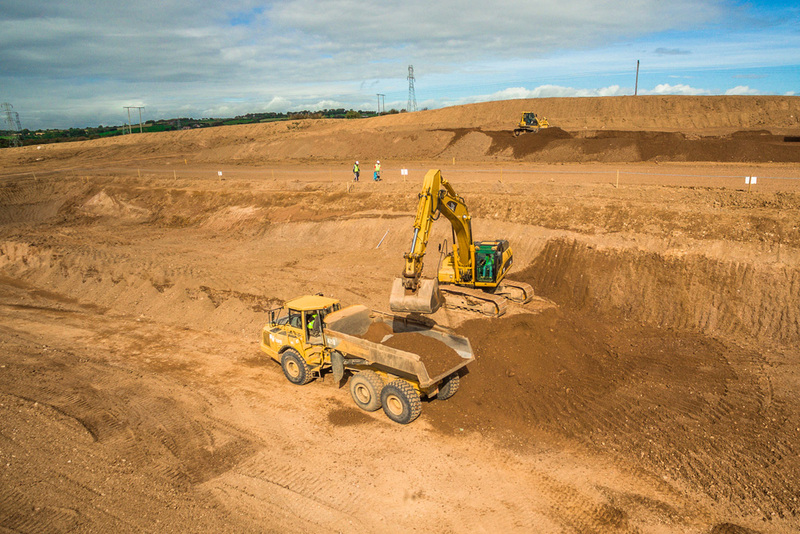 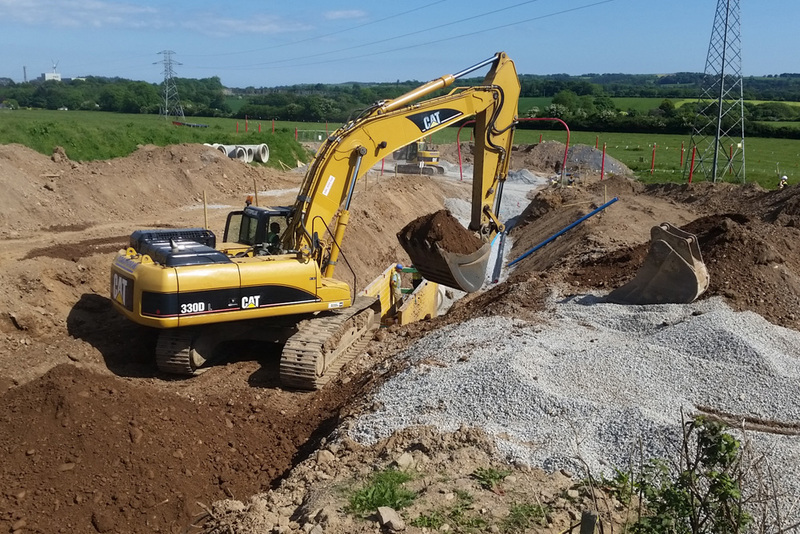 Roadform Ltd carried out the bulk excavation works required for the new wastewater treatment plant which consisted of 45,000m2 of topsoil stripping and a bulk dig of 36,000m3. 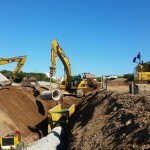 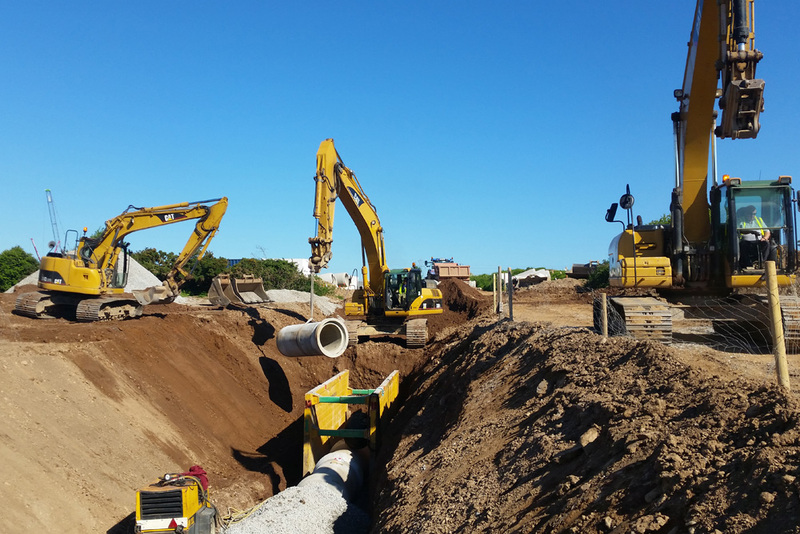 Following completion of the earthworks contract, Roadform Ltd carried out the pipeline contracts for the project which included installation of over 1km of 900mm Ø concrete pipes, 2km of 700mm Ø ductile iron pipes, 850m of twin 500mm Ø ductile iron pipes, 450m of 300mm Ø concrete pipes, 1.3km 280mm Ø HPPE pipes, 1.5km 180mm Ø HPPE pipes and 1.1km 150mm Ø PVC pipelines to serve this project. 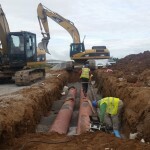 The pipelines were installed in field and live public roads. 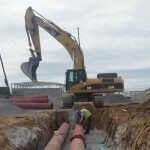 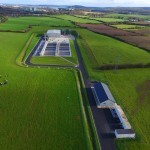 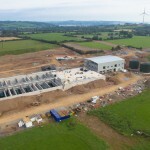 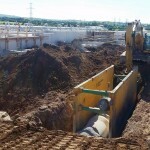 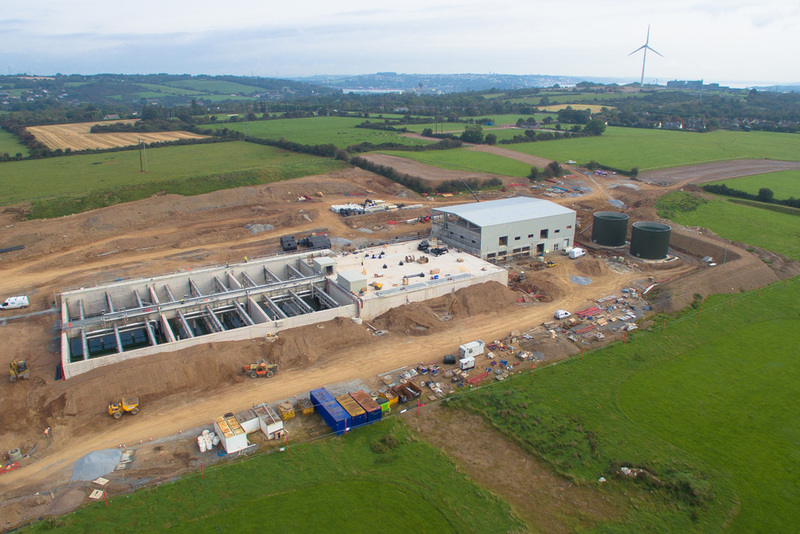 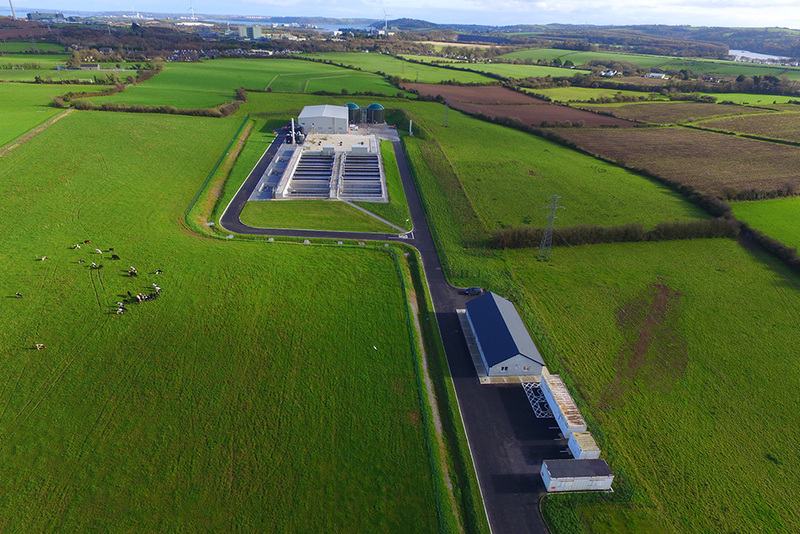 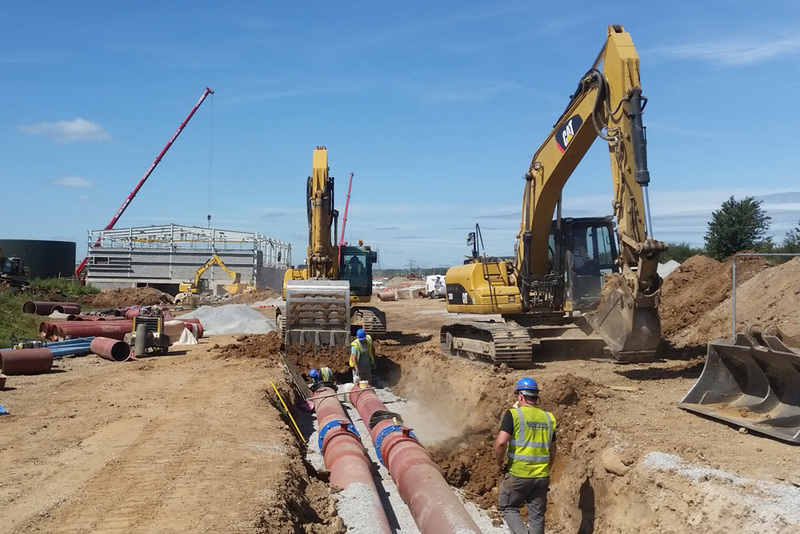 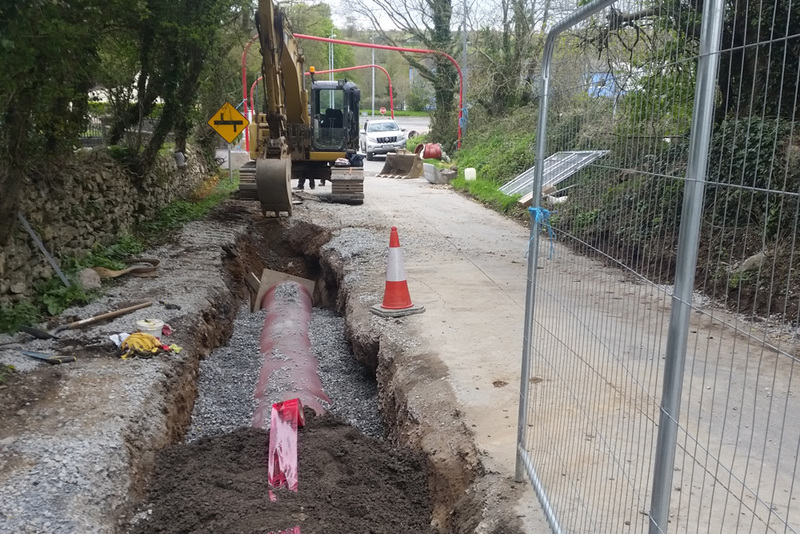 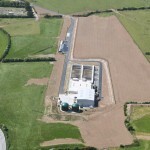 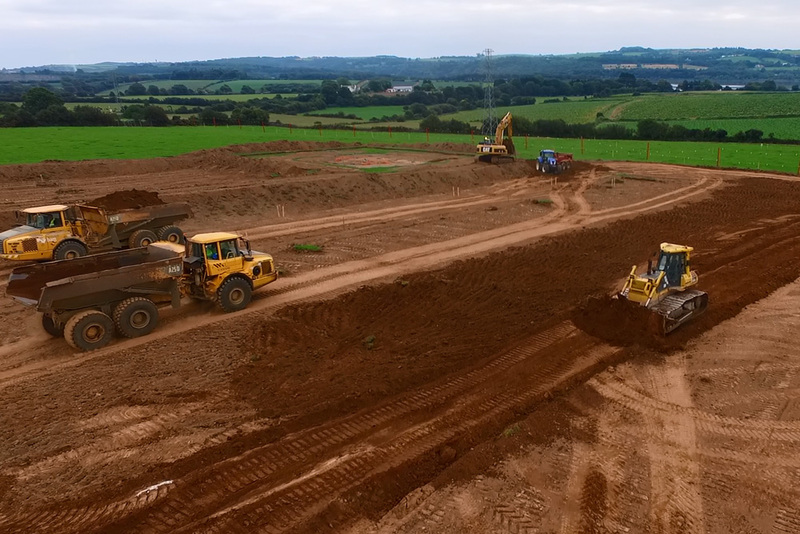 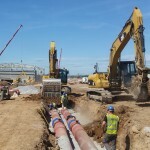 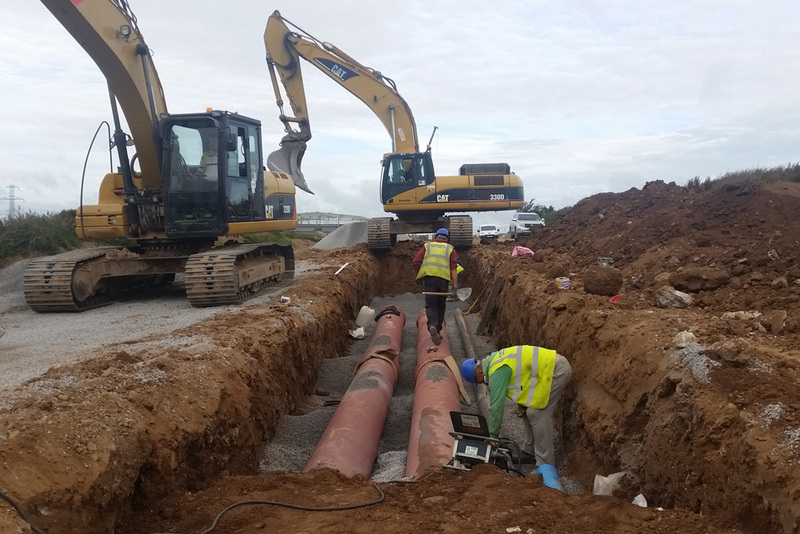 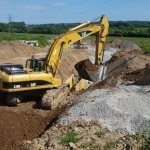 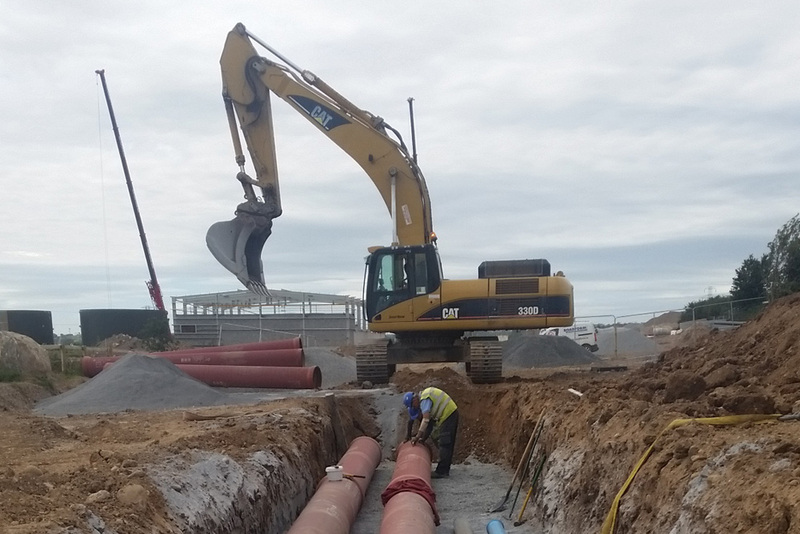 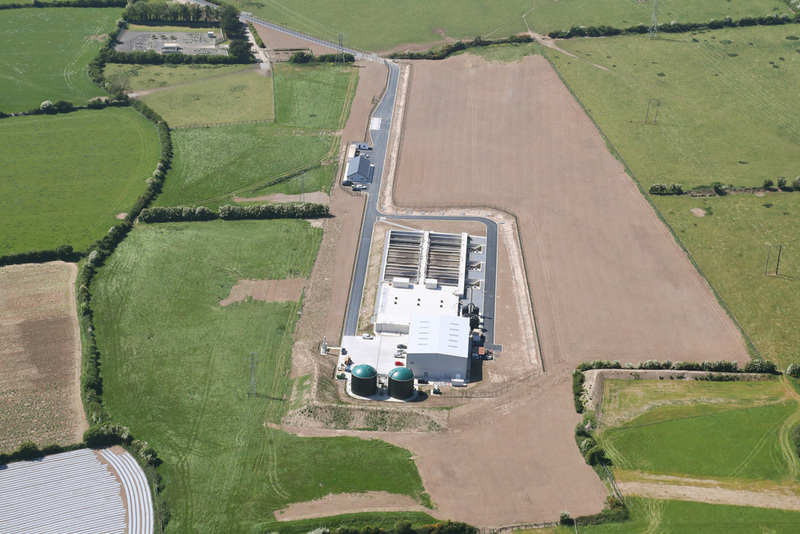 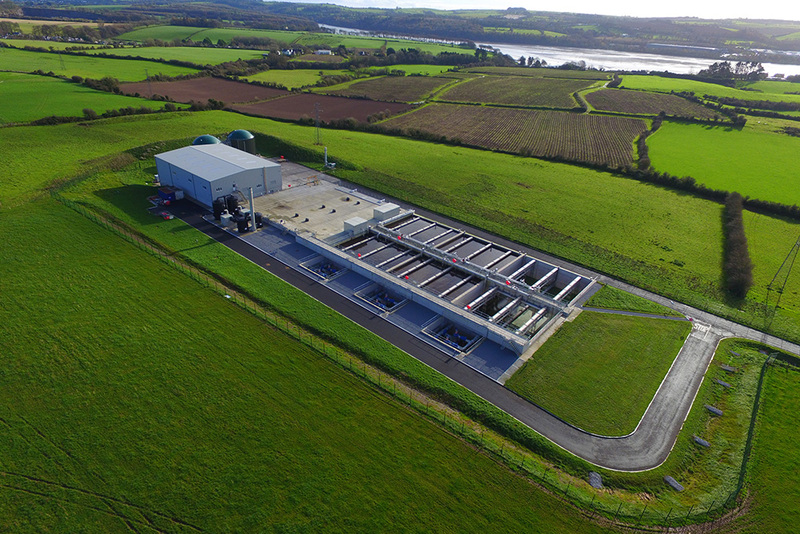 These new pipelines currently connect the areas of Carrigaline, Ringaskiddy, and Shanbally to the new wastewater treatment plant which currently facilitates 65,000 PE capacity with an ultimate design capacity 80,000 PE.